House clearance Hampton – we provide in Hampton a fully professional clearance and removal service. Hampton is a suburban area on the north bank of the River Thames in the London Borough of Richmond upon Thames and we welcome every customer from this area. House clearance in Hampton we will realise quickly and without disturbance for your time and for other your duty. Our service we realise with garantee for your satisfaction. 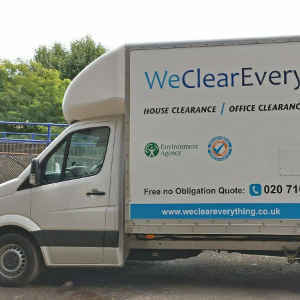 We Clear Everything offer a wide range of house and apartment clearance services in Hampton and others area of London. If our customers have wish we can provide an special urgent house clearance or rubbish removal in Hampton TW12. We Clear Everything have long experience on many local markets in London and in Hampton borough too and we always inform our customers that we are a fully licensed and insured clearance company. Befor you order us you should get a few information. We provide professional house clearance in Hampton and we are determined to help our clients in every way we can. Our house clearance are used by local housing associations, estate agents and the general public. We operate in Great London but house clearance in Hampton is one from our most popular servic and in Hampton we have many satisfacted customers. Another popular service we realise is office clearance Hampton. From your office we can take out everything and We Clear Everything comercial customrs know that our prices include the cost of rubbish disposal, the clearance of all areas, the loading of unwanted items onto a truck and recycling wherever possible. Before you order right for you clearance service please take a little time to view our website and read how look our work and which part of London we cover as house clearance, rubbish removal and waste removal team. Need a local house clearance company in Hampton area? Call us today. Book us and enjoy your free space at home in Hampton ! in the London Borough of Richmond upon Thames, England which includes Hampton Court Palace. Hampton is served by two railway stations, including one immediately south of Hampton Court Bridge in East Molesey. 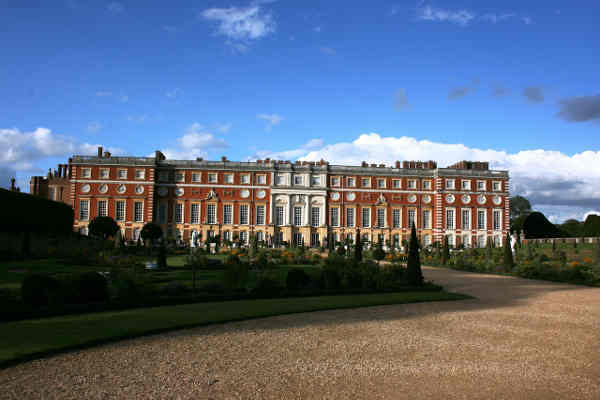 The most famous place in Hampton area – Hampton Court Palace.